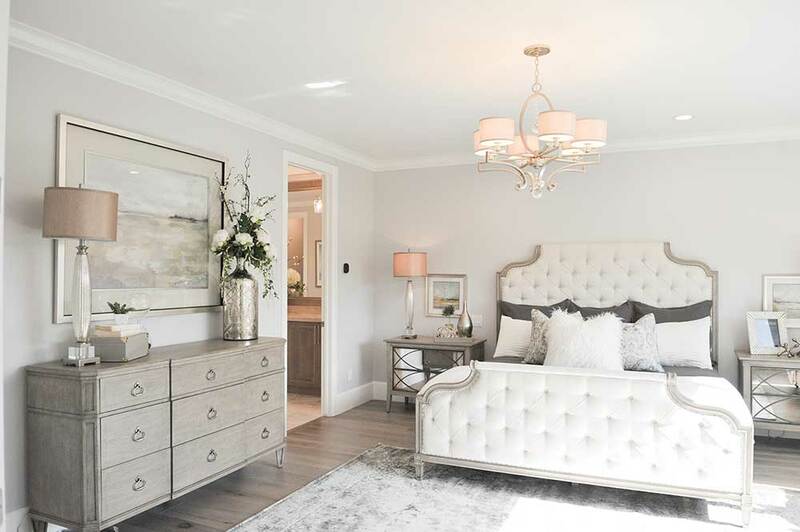 Gulbrandsen Homes and Communities created this must-see master bedroom that includes access to a covered deck. 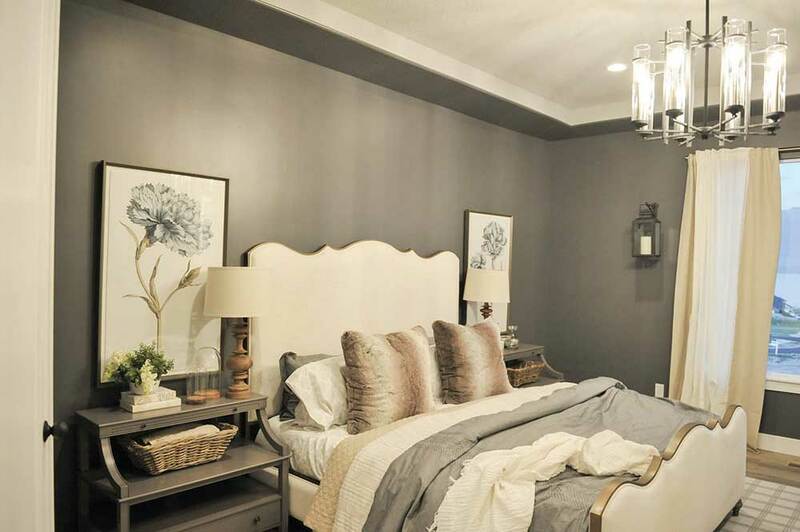 Gray and neutral color palettes are still all the rage, and this master bedroom from Arive Homes is right on trend. We are pretty sure if you climbed under those covers to read a book, you might never get out.